Jacket Audio Podcast – 2 guys, 2 mics & caffeine! A schizophrenic bi-polar music lover’s dream! 2 guys, 2 mics & caffeine! A schizophrenic bi-polar music lover’s dream! Check out Jacket Audio #51! Season’s Greetings from your boys at @JacketAudio. We celebrate the return of @JDCAM01 & Die Hard’s 30th Anniversary! Joey T. & T. Mac return with more bad music, bad beer & bad banter. Listen to Jacket Audio #48! A long time ago in a galaxy far, far away… The Eagles win Super Bowl LII & @JDCAM01 hates Star Wars! Jacket Audio celebrates Mike Patton’s 50th Birthday with 16 tunes of brilliance! The misadventures of 2 women Joey T. & @JDCam01 & 1 man Mike Patton living in 1 apartment. The show, a farce, chronicles the escapades & hijinx of the trio’s constant misunderstandings, social lives & financial struggles. Merry Christmas from Joey T. & T. Mac ! In JackOff Audio’s The Last JackOff, the JackOff saga continues as the heroes @JDCAM01 & @Johnny3Stix join galactic legend @RickAstley in an epic adventure that unlocks age-old mysteries of the JackOff & shocking revelations. Is this The End? Little late with the studio pic. 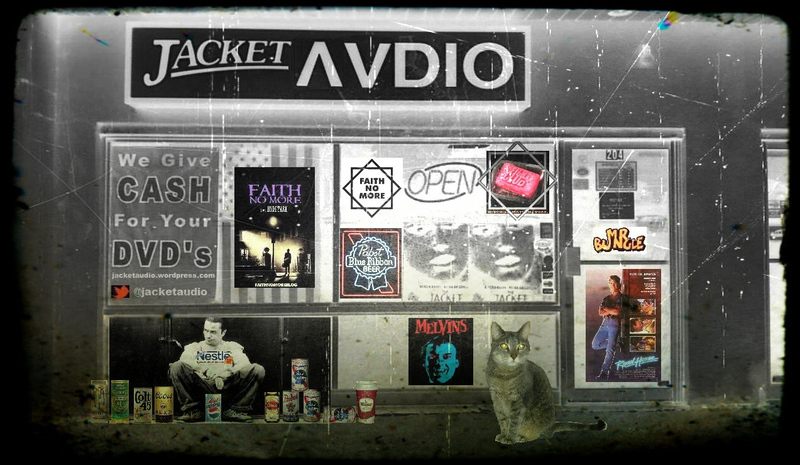 New episode of Jacket Audio is up, where all fine #podcasts can be found. Looking forward to some @dallascowboys vs @rams for one reason only. @ipecacrecordings @faithnomore @nevermenmusic @dead_cross_official #mikepatton #podcast #fanboys.